It is no difficult task to be inspired by Rome: world famous landmarks, more than 350 films shot or dedicated to the Italian capital (including Roman Holiday, one of my favourites), culinary traditions copied worldwide (but never equalled! ), we could talk for hours about this city that combines history, culture, gastronomy and true art of living. Today, however, I will rather show you our Rome, far from the hot weather and touristy trails. Fall is a great season to stay in Rome, if only for the Film Festival held there every year. 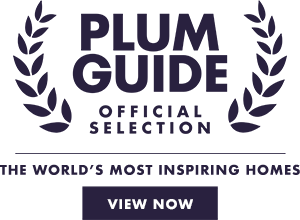 Previews, round tables with the greatest directors and actors such as Martin Scorsese, Isabelle Huppert, Cate Blanchett or Michael Moore, retrospectives and anthologies, there is something for every movie-lover! The film festival is held from October 18th to 28th and is a local event not to be missed. 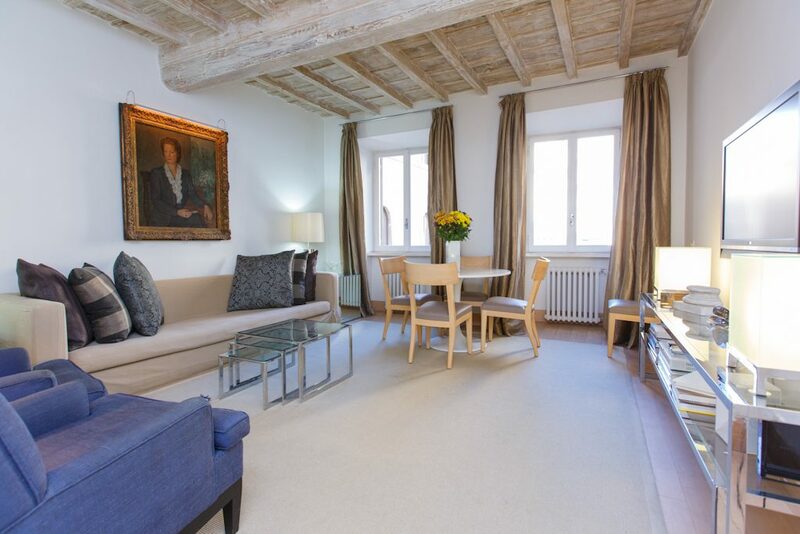 To ensure you a pleasant visit, stroll down along the Tiber and stay in our beautiful apartment Piazza Fiammetta, you will feel right at home! Rome is also particularly pleasant in the fall becauses it breathes more than in summer: the climate is milder, the tourists are scarcer, and it is especially noticeable in museums and monuments. One of our recent visits was the magnificent Palazzo Farnese. Former residence of Pope Paul III and today home to the French Embassy, the Farnese Palace is one of the jewels of the Renaissance in Rome. To ensure quality visits and to promote the French language and culture, the Embassy entrusted the exclusivity of visits to the association Inventer Rome. Discover the Sangallo Atrium (the vestibule), the cortile (the courtyard), the garden, the Hercules salon with its tapestries inspired by Raphael’s frescoes and the Carrache Gallery, recently restored and once again open to the public, an absolute masterpiece of the Carrache brothers, commissioned by Cardinal Odoardo Farnese at the end of the 16th century, and which inspired, among other things, the ceilings of the famous Hall of Mirrors in the castle of Versailles. Inspired by these visits led by French-speaking students or young active people living in Rome, we participated in many of the other activities offered by the association, such as the visit of Villa Bonaparte (in French or Italian) or their discovery tours in Rome and Lazio (in French only). We currently recommend the visit on Saturday, October 20th of the Doria Pamphilj Gallery, a private museum housing a fabulous collection of art, that of Mount Esquiline, one of the seven hills of Rome where all the history of the city can be found (Saturday, October 27) or the Etruscan Museum of Villa Giulia (Saturday, November 24). Find here the complete program of their visits. 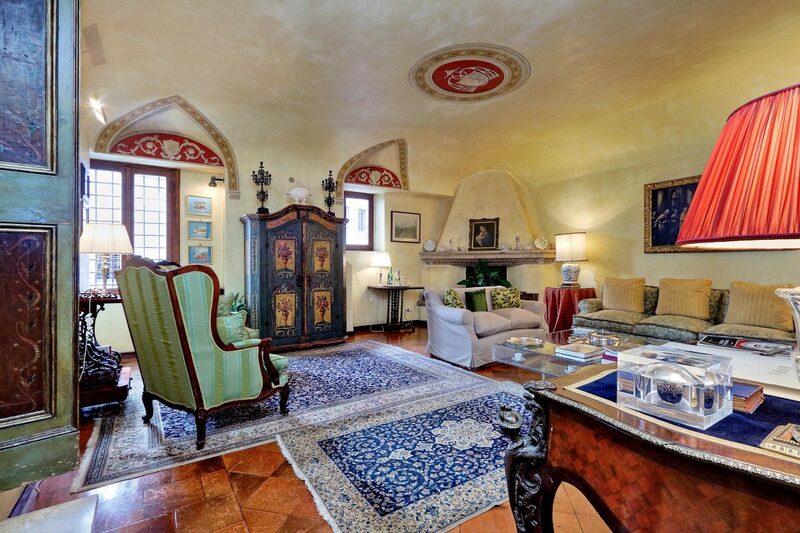 Inspired by the Farnese Palace? The setting of our Palazzo Il Magnifico will surely, with its amazing antiquities, luxurious furniture and beautiful paintings of masters. 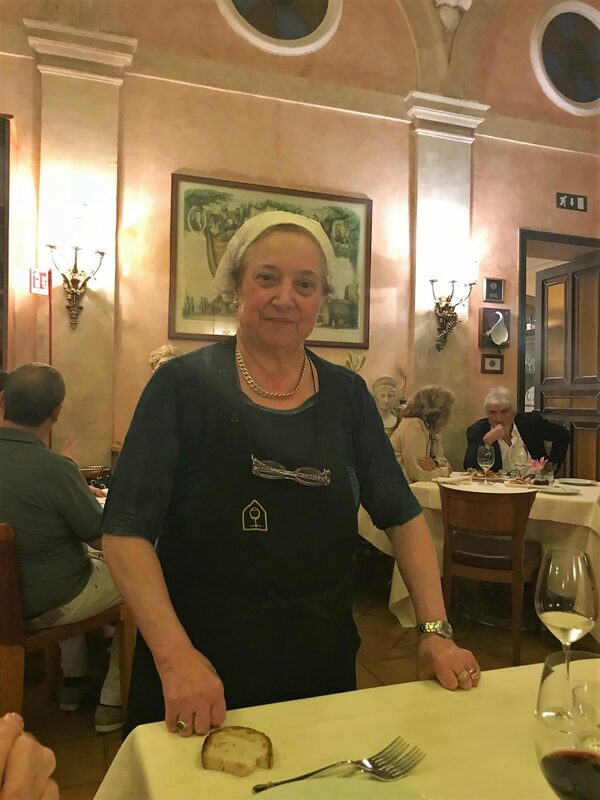 Leaving the Palazzo Farnese, head to the Pantheon and stop to eat at Casa Bleve: here, the wonderful owner welcomes you with open arms and the chef explores all the tastes and traditions of Italian cuisine, respecting the seasons and selecting the best local products. It’s an iconic stop for all gourmets! 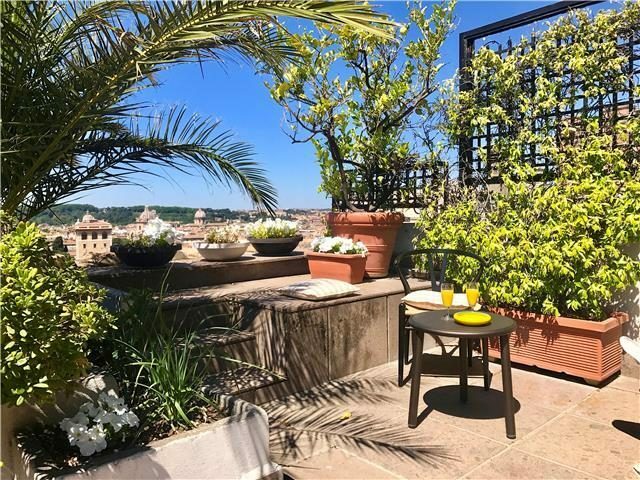 our penthouse overlooking the Vittoriano, or the Palazzo Palermo, composed of two independent apartments, will welcome you in the heart of the eternal city! Discovering Rome from above: a Roman guide to terraces and gardens.